Are you looking for another delicious holiday appetizer? 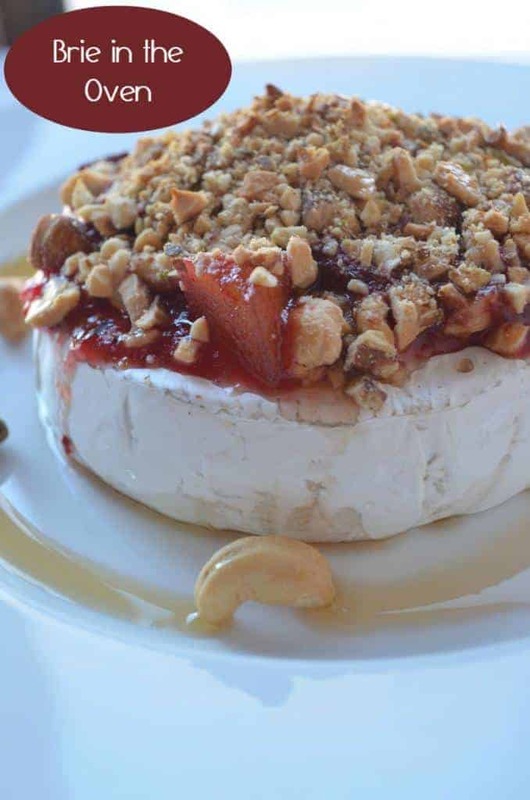 Look no more, try this delicious Brie in the oven recipe. Your guests will be impressed. The first time I had this dish, I could not stop eating it and ended up not eating the main dish. I mean after eating almost half of the brie with delicious homemade bread, you cannot put anything else in your mouth. Make sure to warn your guests if it is the first time they are having it. This holiday appetizer is quite rich and filling. I find it is perfect for office parties or a neighbors get together. I would not recommend it preparing it with a main meal as it will be waste of food. 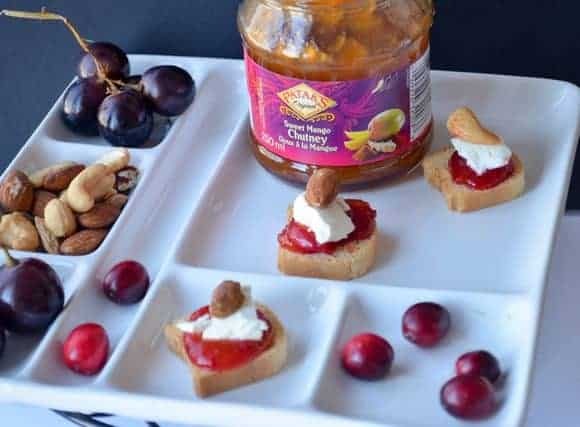 I prepared this holiday appetizer last week when I made my cheese & chutney appetizer recipe. I had some cranberry & chutney sauce left over. I did not want to waste them. I had a Brie in the fridge and I figured: why not prepare a Brie in the oven? This holiday appetizer recipe is very simple to make. Just follow the steps below. We’ve included affiliate links, thank you for your support! 1/4 cup of cranberry sauce with chutney. Check my recipe in here. Serve hot with your favorite bread. This holiday appetizer recipe can be served with a tray of nuts your favorite holiday drinks. It is best when it is served hot so make sure to do it while your guest are at home or ready to enjoy it. They can even help you out. Have you ever made Brie in the oven before? What did you top it with? What’s your favorite holiday appetizer? Breastfeeding or Pumping: Which is Better for Weight Loss? Yummy, I love Brie and I am sure it would be so yummy with the topping. Thanks for sharing, will have to try it! I remember years ago making Brie with cranberries in a frying pan in the nurses home where I lived in Denmark. The Danes ate this a lot, I was dubious at first but it really was delicious with fresh Danish bread to accompany it, yummy. Thank you so much for joining us this New Year on #PureBlogLove Link Party and Blog hop for Recipes and DIY Crafts! Right now we have the voting features turned on our blog for your links so if you’d like invite your friends to vote for your link!!! Voting ends in 48 hours!!! Most votes wins a feature and GUEST co-hosting spot if you would like to join us in the celebration! This sounds delicious! I’ve always been afraid to cook brie in the oven for fear it would just melt all over. I never knew about wrapping the edges is foil. Thanks for sharing the recipe. Thank you so much for attending week 15 of #PureBlogLove and linking your fantastic blog post. This sounds like a great way to add to the creamy delicious flavor of Brie! I can’t wait to see what you have in store for our party next week Thursday 8 PM EST- Sundays at midnight. Your post has been added to the #PureBlogLove Pinterest board for all to see 🙂 Have a great day! Oh this looks totally delicious – I can’t resist anything with cranberries (and brie!). I like the mix of sweet and savory in appetizers. I’d love it if you’d share this at Reviews, Chews & How-Tos this week for our first Awesome Life Friday Link Up. These ideas look delicious and beautiful! 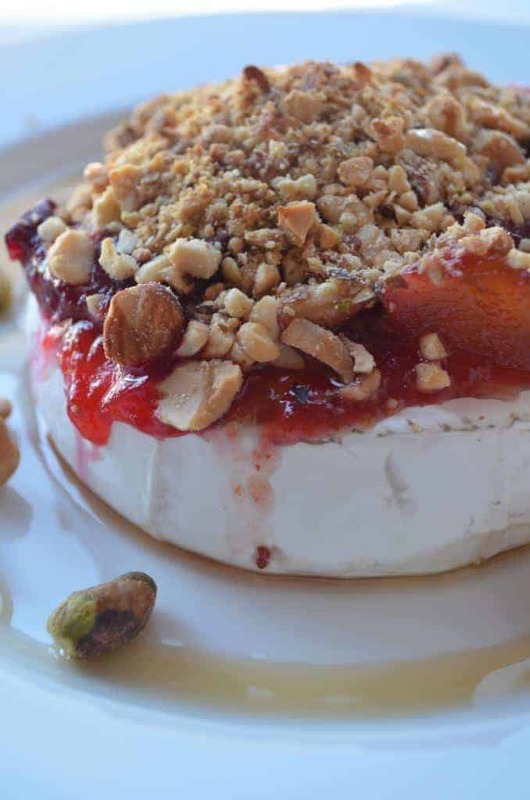 I love brie, and your recipe sounds spot on! I’ve eaten brie before, but I’ve never made it before. This sounds like a really great recipe. Thanks so much for sharing. Baked brie is one of my favorite things! I usually wrap in it dough after putting raspberry jam and walnuts on it and top with a little brown sugar. I love your idea of spreading it on crackers. I’ve never made brie in the oven before but it sure does sound delicious. It’s a fun and easy recipe that can be serve as appetizer at any party. This looks delicious. I definitely need to try making it. I have never made a brie before but I will have to try making this recipe indeed. It looks and sounds so delicious. Thanks for sharing. 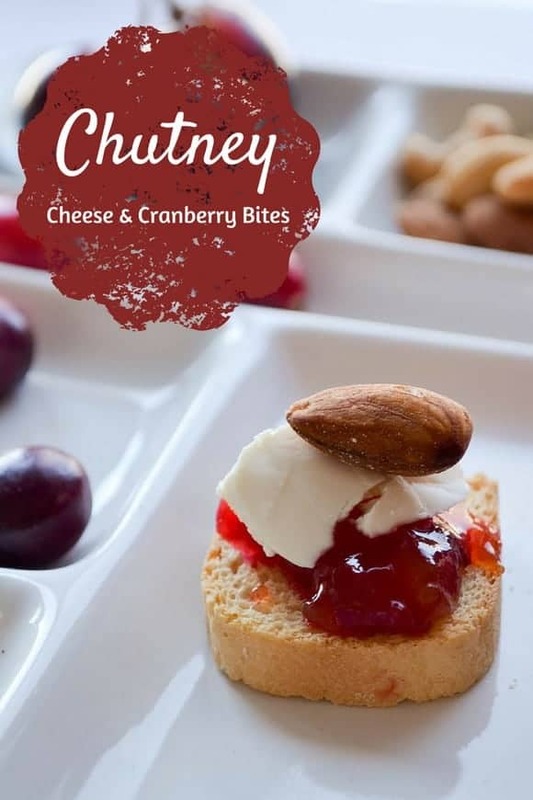 They look so simple, delicious and yumminess all in one, I love cranberry big time so this appetizer recipe is very welcome. This looks delicious. I love the combination of the chopped nuts and cranberry sauce. Yum! Damn, that looks so good; I can’t even imagine how it would taste! Oooo…I would love to try this! I am game for pretty much any cheese on the planet! Love it! What a lovely appetizer. It would be simple yet elegant for a holiday party. Fantastic! I am seriously drooling over that brie right now! Sooooo good! Cashew crumble? Ummmm, yum! that look absolutely amazing. I think those appetizers would be perfect for New Year’s eve. That looks amazing. A great appetizer for a New Year’s Party spread! Going to pin this. Yum this looks and sounds incredible. I don’t think I have ever tried Brie before. I may have to now! Yep, this definitely sounds amazing! I am a cheese person, so any appetizer that has cheese in it I am instantly sold on! That sounds absolutely delicious. I think I am going to try these for our New Year’s Eve get together.